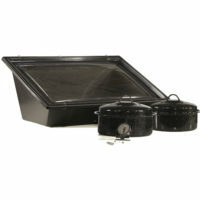 Purpose-built by solar-cooking experts for maximum efficiency, durability, and ease of use, the Solavore™ Sport Solar Oven simmers like a crock pot and bakes like an oven. Oven temperatures typically range from 210º – 260º F, maxing out at 300º F. In other words, hot enough for slow-cooked goodness (food cooks starting at 180º F) but not hot enough to burn dinner. The Sport is lightweight and portable; weighing just 9 pounds and measuring 12 1/4″ high, 27 1/4” long and 17” wide. With The Solavore™ Sport and new TR-86 High-Performance Reflector: wider temperature range, more flexible cooking temps and times – solar cooking has never been better! Housing is made from rugged recycled nylon plastic for weatherability and durability. No BPA’s. 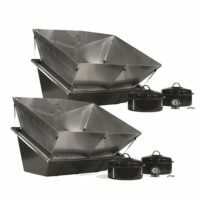 The oven holds two 10-inch pots (included) or your favorite lasagna pan. NEW! 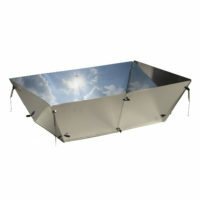 Detachable reflector, high performance mirror-like finish. SHIPPING is FREE in the continental United States. Please see our international shipping quote page if you are interested in arranging shipment outside the US. 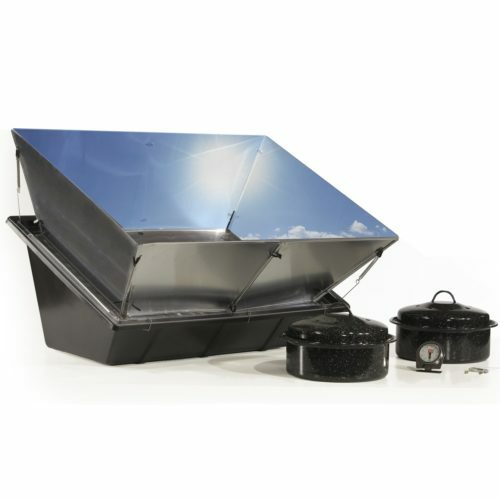 Best of all – your purchase helps to bring the healthy magic of solar cooking to families all around the world.